Blogger outreach is an online marketing strategy. This is where you can have organic content that links to your pre-sell, opt-in and sales offers published in third party blogs with regular readers and significant volumes of highly convertible viewer traffic. 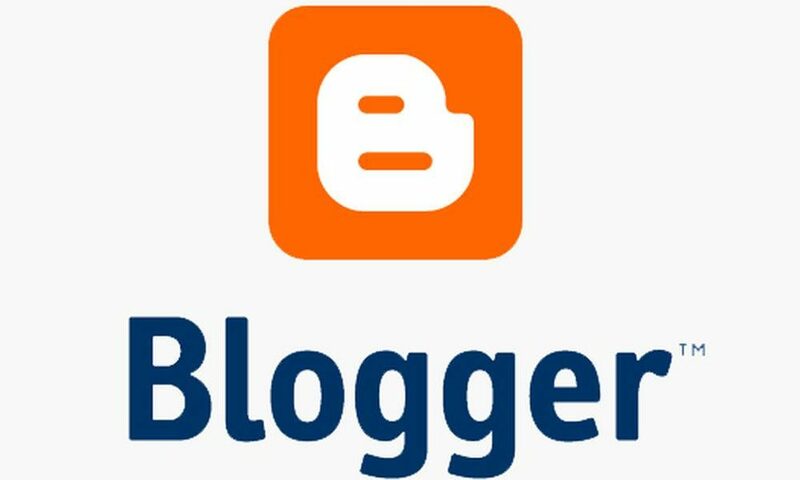 When you choose the right bloggers to contact for forging this strategic content publishing and organic content marketing tactic, you can consistently funnel large volumes of the blogger’s readers and regular viewer traffic from their posts straight to your offers and landing pages. You can also benefit from much better conversions and customer acquisition rates, thanks to the trust that the subscribers and readers of these bloggers have on their recommendations. Remember, by publishing organic content that’s relevant to your ideal prospects, brand and offers — These bloggers are recommending your products and services to their audiences. Lots of large corporate organizations, established companies, small businesses and startups all around the world are continuing to prioritize this digital marketing strategy as a significant part of their overall Web advertising and marketing campaigns this 2019. You can also expect many individual marketers and independent freelancers, resellers, service providers, content publishers, social media influencers, app developers and the like to also be using this tactic for promoting their affiliate offers to their target audiences this year. That’s mainly because through blogger outreach, many of them are able to strategically position their brand across extended segments of their target markets. Some of them discover untapped segments of their target audiences through this strategy. Similar to a TalkingAds ltd online advertising campaign, though much better in the opinion of many establishments and individuals who use this tactic, you’ll be able to place your marketing messages and content in front of eyes with interests that are most relevant to your offers and the content of your landing pages, opt-ins, pre-sell and sales materials. What makes this much better than usual forms of Web advertising is that your offers aren’t rammed down the throats of your target prospects and ideal customers while they’re viewing the content that they want. On the contrary, your promotional efforts are packaged in relevant organic posts designed to engage and compel the audiences of your blogger partners to look closer at your offers and content. But do you really need to include blogger outreach in your digital advertising and online marketing campaigns this year? Found below is a list of the top benefits and advantages that this promotional technique can provide your business. By knowing these things, you’ll be able to make a more informed decision whether this marketing strategy can indeed produce much better, more cost-effective bottom-line results for the latest offers and newest products of your business today. Access to Warm Targeted Traffic — When you use a pay per click network like Google Adwords, Bing Ads, Facebook Ads and the like, you’re presented with targeting options for each ad campaign that you run in their platforms. This is to ensure that your PPC ads will be displayed to the right viewers in your ideal audiences. This is what’s known as warm traffic. Many experts argue that this is just “lukewarm” traffic and not actually “warm” traffic. For them, viewers that see ads in the publishing networks of these third party platforms, no matter how compelling it is and also no matter if it’s directly relevant to what they’re searching for or to their timely interests and shopping concerns at that very moment, are like strangers learning for the first time from commercials about your brand, content, products and offers. How do you react when you learn for the first time about a product through a TV or radio commercial? It’s likely for your reaction to be similar to how you respond to ads and online marketing materials that promote products from brands you don’t recognize in your Facebook news feed, in your Google and Bing searches, etc. Most people tend to respond to recommendations that they hear from their trusted peers about products and service offers from brands that they have yet to know. These instances have been time-tested and proven to generate much better positive reactions from more viewers, both online and offline. Think about it — How do you react when a good friend of yours recommends a products with benefits that you believe you need at the moment? Compare your likely response against how you usually respond when a complete stranger tells you all about the same product. Think of your response when one of your trusted peers recommends a product that’s relevant to both your interests and the professional expertise of your friend. Let’s say your doctor for many years suggests a helpful product that can provide you with the medical and therapeutic benefits that you want for your current condition. Wouldn’t you react more positively to your doctor’s recommendation, as opposed to your likely response to an ad for the same product that you see in a TV commercial or in any online platform? So this is what “warm” traffic is, according to many advertising experts and online marketing consultants. In terms of blogger outreach, think of the bloggers you contact as the experts in the example described earlier, while their readers and subscribers or regular viewer traffic as peers who trust their recommendations. So you can just imagine what a positive recommendation for your latest offers and newest products from the right bloggers can do for your bottom-line results. Better Search Engine Visibility — You can get contextually relevant links when your blogger partners publish content posts with recommendations and links about your latest products and newest offers. This can improve the rankings of your linked organic content materials in Google and Bing for relevant search terms. This especially applies in many cases if the blog of your publishing partners have high domain authority across niches and industries that are directly and vertically relevant to your brand, content and products. Wider Social Media Reach — When you choose the right bloggers to partner up with for your advertorial publication campaigns, these posts can go viral across the peer networks, social media pages and groups, online communities and mobile apps of your blogger partners. That’s because bloggers who know what they’re doing also implement effective marketing strategies and advertising tactics for promoting their content throughout their target audiences and ideal market segments. So aside from generating positive social signals that can further optimize the search engine rankings of these posts in Google and Bing, your linked pages and content can be visible across the right social media channels. This in turn can generate much bigger volumes of highly convertible traffic for your landing pages, opt-in offers, organic content, pre-sell and sales materials. These online marketing tactics can dramatically improve the results of your advertising and organic promotional campaigns. Many businesses, individual marketers and independent freelancers continue to use blogger outreach this year because of these advantageous perks. With far better conversions and customer acquisition rates, you can implement more cost-effective strategies for advertising and communicating the right marketing messages to your ideal prospects and target customers for your latest products and newest service offers this 2019.